Green: application that has chances of being hacked. It’s more than likely that you can find all sorts of modifications and patches to be applied. Yellow: the app has detected in its database the presence of specific patches for applications marked with this color. Blue: contains Google ads that can be removed. Purple: apps that are on the operating system’s boot list. Red: applications that can’t be registered or patched. Orange: system applications that Lucky Patcher doesn’t recommend to modify because the device may not work correctly. Remove adverts displayed in certain apps for which purpose we usually have to pay to purchase a full version. Modify any kind of permission associated to these applications. Create backups by extracting the APK files from the applications. Transfer from one device to another the paid applications you’ve already purchased. 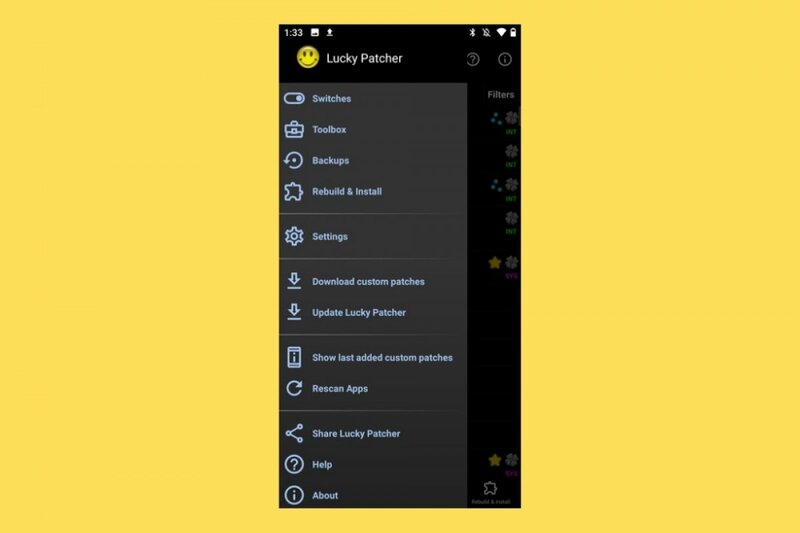 The good thing about using Lucky Patcher is that you don’t need to be any sort of Android expert or anything similar. You only need to know what you want to do and follow the steps indicated in the app.